The men you see here are the elite of the Roman army. Tough, hard-bitten citizen soldiers who collectively formed the heavy infantry responsible for winning and holding the greatest Empire the world had ever seen. 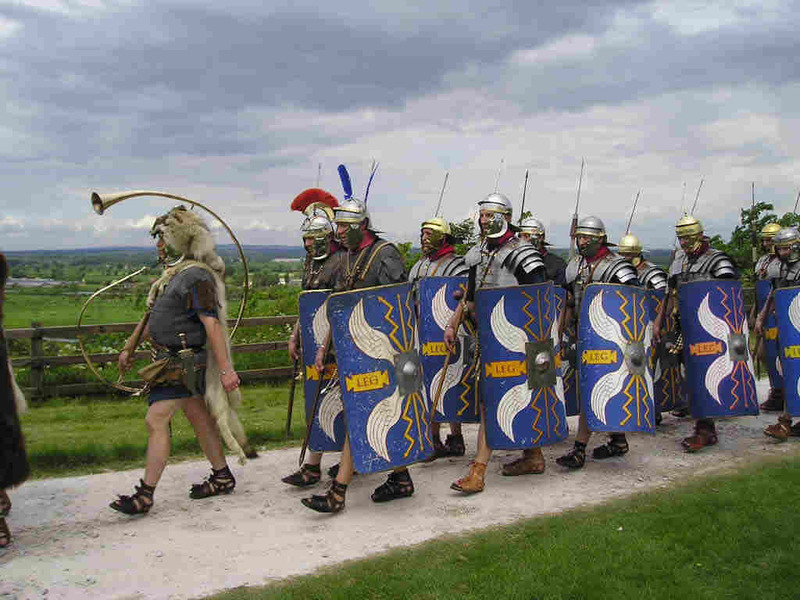 Although citizens, these soldiers were not necessarily from Rome or even Italy the spread of citizenship in the provinces meant that by the time of the Claudian invasion of Britain more than half of the legionaries came from outside Italy, a trend which accelerated as time went on. The army held considerable attractions for citizens  soldiers were well paid, conditions of service were good and there was always the prospect of promotion to immunis, principalis (NCO) or centurio with its greatly enhanced pay and gratuities; indeed, the prospect of a grant of land or, more frequently, of a sizeable cash handout at the end of 25 years service must have been a considerable incentive to join up. Of course, there was another side to the coin  continuous training, harsh discipline and the dangers of combat, especially for centurions who always led their men from the front, yet there was usually under the principate no shortage of recruits for an all-volunteer, professional and immensely successful army. 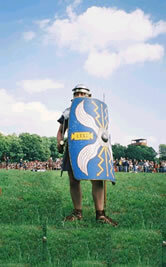 Legionary soldiers were also well equipped, with a carefully designed helmet (cassis), usually of iron; body armour consisting of mail with shoulder doubling or, by our period, the more common lorica segmentata, strips of iron attached to internal leather straps which was both effective and flexible; a military belt or cingulum with apron straps, more for decoration than protection, two javelins or pila, a short, thrusting sword known as a gladius, and a large semi-cylindrical shield or scutum. Kit also included a range of tools and personal objects which together made up a soldiers impedimenta. The modern Fourteenth Legion strives to keep faith with the spirit and achievements of its illustrious predecessor which was famed as Neros favourite legion and which gained a proud reputation as the Domitores Britannorum or Tamers of Britain thanks to the victory over Boudicca in AD 61. We are proud to maintain the traditions of the finest unit in the Roman army Legio XIIII GMV.